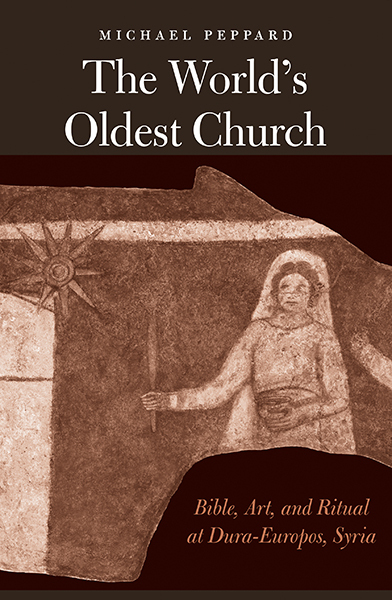 Description: Michael Peppard provides a historical and theological reassessment of the oldest Christian building ever discovered, the third-century house-church at Dura-Europos. Contrary to commonly held assumptions about Christian initiation, Peppard contends that rituals here did not primarily embody notions of death and resurrection. Rather, he portrays the motifs of the church�s wall paintings as those of empowerment, healing, marriage, and incarnation, while boldly reidentifying the figure of a woman formerly believed to be a repentant sinner as the Virgin Mary. This richly illustrated volume is a breakthrough work that enhances our understanding of early Christianity at the nexus of Bible, art, and ritual. Citation: Ralph K. Hawkins, review of Michael Peppard, The World�s Oldest Church: Bible, Art, and Ritual at Dura-Europos, Syria, Review of Biblical Literature [http://www.bookreviews.org] (2019).